The very existence of the Trump Presidency has been deemed a “Constitutional Crisis” by Democrats who have flocked toward the podium to condemn each action of the presidency as “unconstitutional.” The word has been used so frequently over the past six months that it has begun to ring hollow, a word which ought to serve as an alarm to tyrannical beginnings has been reduced to little more than a partisan whine. In the overzealousness of Trump detractors to wield the charge of “unconstitutional,” we have ignored a true constitutional crisis unfolding before us. Perturbed by this infringement upon human rights, the Founding Fathers sought to prohibit discrimination upon the basis of religion, most notably in their establishment of the First Amendment, which ensures American citizens protection from any law “prohibiting the free expression” of religion. Less frequently discussed, but equally important, is Article VI, which reads in part, “no religious Test shall ever be required as a Qualification to any Office or public Trust under the United States.” Multiple times now in the confirmation of Trump appointees, Democratic senators have ignored this protection ensured by the constitution in order to pursue decidedly partisan ends. They haven’t been subtle about it. The religious test applied here by could not have been more clear – an egregious affront not only of the Constitution, but of the Catholic faith. 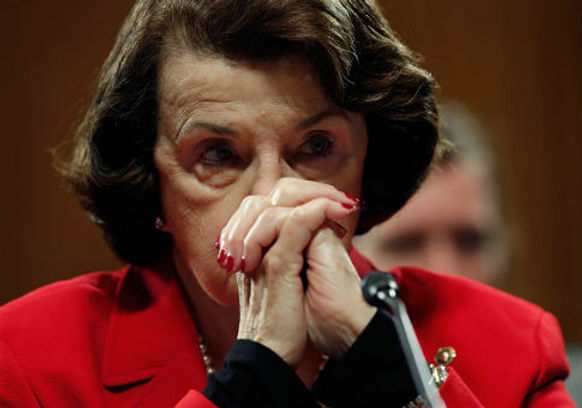 By claiming of Barrett that “the dogma lives loudly within you,” Senator Feinstein not only criticized Barrett for being Catholic, but she suggested that the very practice of Catholicism, the adherence to Catholic dogma, somehow renders an individual incapable of serving his or her country in public office. In fact, Barrett’s hearing wasn’t the first time a Democratic senator flaunted their Anti-Catholic and anti-Christian bigotry in applying an unconstitutional religious test for office. How far we have strayed from John Adams’ belief that “The general principles on which the fathers achieved independence were the general principles of Christianity. I will avow that I then believed, and now believe, that those general principles of Christianity are as eternal and immutable as the existence and attributes of God,” or of George Washington’s consideration of the practice of religion as an “indispensable support” of society. As religious tests for office return to the Democratic repertoire we witness the emergence of a true constitutional crisis. The establishment of a religious test for office is as bigoted, discriminatory, and explicitly unconstitutional as they come. That the actions of Feinstein and Sanders have been covered as little more than partisan disagreements shows plainly the burgeoning attitude of the Democratic party toward orthodox Christians and Catholics, once privately held, now publicly voiced. 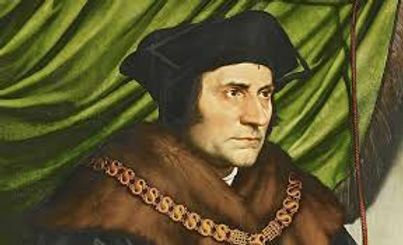 When Saint Thomas More (photo above) was led to his execution, he is rumored to have said, “I die the king’s faithful servant, but God’s first.” Today, in the establishment of government as religion itself, the choice has become somehow more ominous: serve either as the King’s good servant or God’s. Both will not do. Antonin Scalia is the Founder and Senior Thomas More Fellow of The Campus Conservative. He is a fourth year student at Rhodes College, in Memphis, TN. A Sovereign God, College Students, God's View vs. World View, Guest Blogs For Action, Political Opinion, What Is Truth? ← Where is God in the terrible tragedy in Houston?